The brand that Hair by Em uses for all colouring services is Wella Professional, I feel that Wella is a very versatile brand and are constantly expanding their colour shades, which overall is a contributing factor as to why I use the brand. They range from 12/0, being the lightest shade of blonde, to 2/0, being black with plenty of different shades and tones to choose from, from your ash blondes to your red tones etc. They leave a lovely shine to the hair and work well with all types of hair. Being a mobile hairdresser in Lincoln enables me to offer a variety of different colour services, whether it is Roots to highlights or Ombre to Balayge. I will also keep up on new trends and techniques that occur over the years, I have a good knowledge of colour and knowing what will suit people’s hair type, face shape and face complexion. Another thing that is vital to colour is the after care and recommendations of products that will help with keeping your hair looking fresh and help make the colour last that extra bit longer. Hair is a very personal thing for people, so when it comes to cutting it is important to understand what will suit and flatter certain peoples face shapes, not only that but what will suit certain peoples lifestyles. If you are one of these people who live a very busy lifestyle, the likeness is that you don’t have time for a hairstyle that is high maintenance that requires a lot of styling and time spent on it, so something that is quick, easy but also stylish is vital. 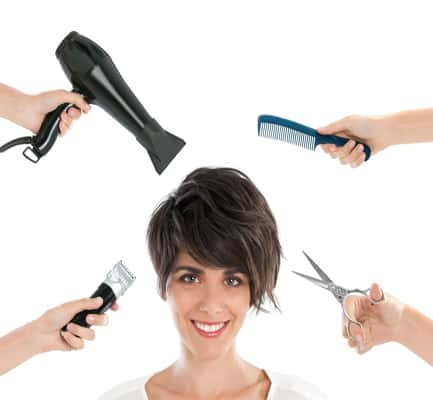 Hair care is such an important factor of being a mobile hairdresser, it is so important to have a good knowledge of what can damage client’s hair and what can be used to help prevent these things from happening. Although it is important for me to know these things, I feel that is just as important for me to transfer this information to all my clients. Things like heat damage, which is a common one, is so easily preventing if used properly, get a good heat protector for your hair is such a key factor and so simple to do, not having your heat up too high on your straighteners or curling tongs etc. it is better to go slowly over your hair with a lower temperature than keep going over your hair with a hot iron.